Anyone who knows me knows that I am a sucker for headphones and anything shiny. If I can share the shiny object with my son, it gets bonus points. Wicked Audio 3D series headphones are one of those items. The packaging was simple and not over the top (another bonus because I hate wasted packaging). The cording was long enough to keep my son from getting tangled up, and the built in volume control was a nice feature. After I had a chance to look them over, I let my son check them out. His first reaction was the typical six-year old one…it’s mine! I asked him to be my little review helper and try them out. When he looked back at me with a blank stare, I told him to play his iPad and use the headphones. That he understood and for once he was more than happy to do as I asked. In the past, when I handed him a pair of headphones, I had to beg for them back. This time, the story ends a little differently. For the past month, the headphones have stayed where I put them, hanging on his closet door. Instead of picking them back up, he decided to go after my Wolverine Coloud headphones instead. I don’t know if it was the color, or the sound quality, but my son just would not pick back up the Wicked Audio headphones. I tried them out myself and found there to be nothing special about them. They sounded and felt fine. My best guess is that my son was just not that into them. By accident, we were given a second pair of the headphones, so we gave them to my eight-year old nephew. This is where the real review begins. Not only does he still use them, my parents love them too. While visiting us, he made sure to bring them along. Of course, my parents have found a new use for them. Apparently, my nephew snores so loudly during the night that one evening my mom got out of bed and used the headphones to help drown it out. 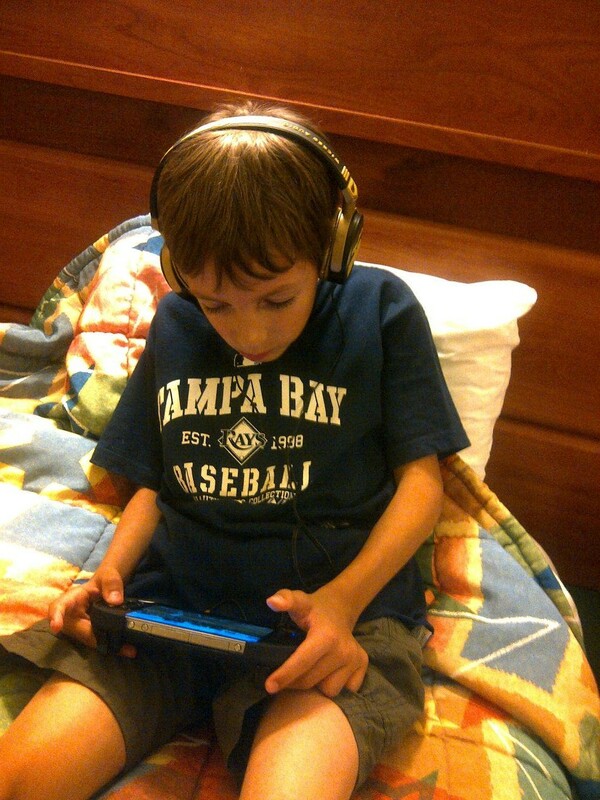 Overall, the Wicked Audio 3D series was not for my son, but they were a huge hit with my nephew. That makes sense because they are very different individuals. So, if you have a eight-year old who loves sports, Justin Beiber, and hugs in the middle of the day, these are going to go over with a huge in your house. For another option in kids’ headphones, check out fellow GeekMom Patricia Vollmer had the chance to look at the Urban Ears: Tanto headphones. From what I can tell, these are another great option for any parent looking for child friendly headphones.